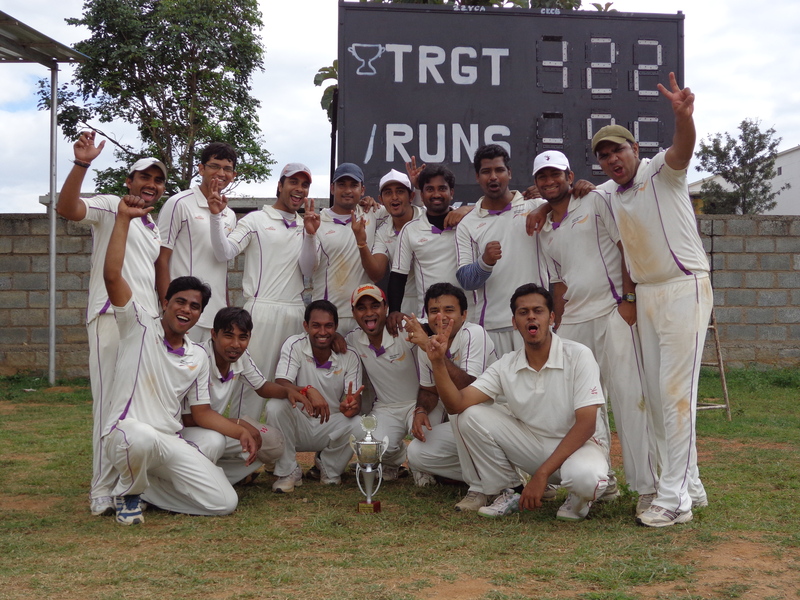 TCE T20 Championship Grand Finale: GE are Champions! 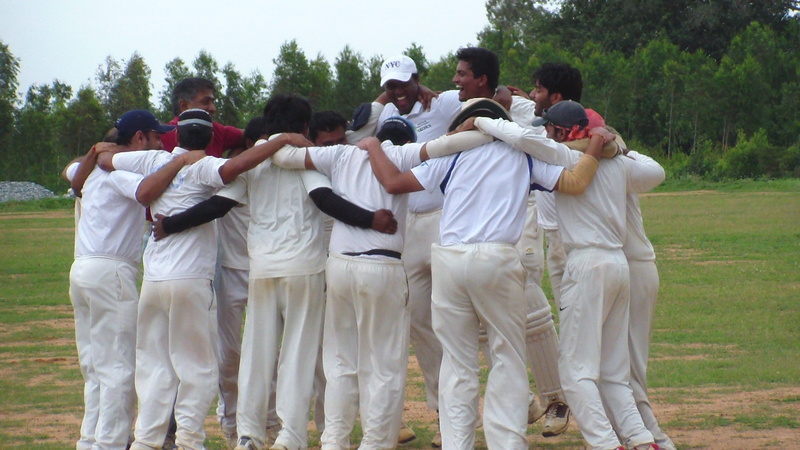 The two unbeaten teams took on each other in the grand finale. GE, unbeaten in two tournaments now took on a rather newly formed team NSN who played some brilliant cricket of their own through this tournament. 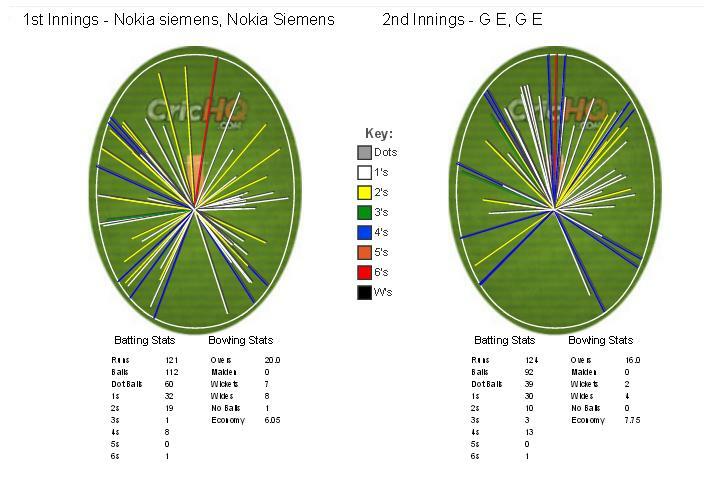 NSN missed their opener Prakhar as he was unavailable and opened with Jeethenda in his place. Abhishek needed two balls to send him back and NSN were set on the back-foot straight away. Deb, who has had a mixed tournament joined hands with Avinash, who has had a brilliant tournament with the bat, and they both stitched together a small partnership. Avinash fell prey to the ever consistent Dheeraj as the experienced GE looked to capitalize on the nerves of NSN on the finals day and succeeded too. It needed a calm and steady head in the middle to settle things for NSN and Satya fit the bill. He calmed Deb down and Deb was all better for it. Satya and Deb batted through the next 6 overs with Satya orchestrating the innings. He stuck to runs in ones and twos and Deb played the role of finding the odd boundary. The plan seemed to work as the pair managed to put a 42-run partnership. Shimjith, though provided the vital breakthrough when he had Deb hit a return catch to him. And 2 balls later, an ever alert Arvind ran out Satya to take the sting out of NSN batting. Having to rebuild again after having rebuilt the innings and with new batsmen in the middle meant that NSN had to play cautiously and put the charge on the back-burner for longer. With Manish too falling soon after the innings seemed to be heading to a collapse. Gangadhar played a crucial innings at the end marshaling the lower-order with some powerful strokes to push his team out of a miserable total and propelling it towards a decent one. His unbeaten 34 pushed his team north of 120 which looked unlikely at the end of 15 overs. Abhishek continued to bat at the top after his wonderful innings in the last game with Rajnikanth. Abhishek looked to be at his fluent best as he produced wonderful drives and was the dominant partner in the opening partnership with Rajnikanth. Abhishek’s strokeplay allowed Rajni to take time to settle in (not that he ever needs it) and the openers soon were motoring along at about 10 an over. It all seemed easy when Abhishek lofted a square drive to be taken in a juggling act at point by Jithendra who caught it on rebound close to the ground. Four balls later, Shimjith was adjudged leg-before when he seemed to have nicked it on to his pad. A set-back on the last over of the powerplay meant NSN were not allowed a foot into the door. Arvind, unbeaten throughout the tournament, joined hands with Rajnikanth as the two of them first ensured there would be no collapse with some solid batting. Both looked content to finish the job at hand even if it meant not with flamboyant strokeplay. Only with the clouds looming in and the chance of there being a shower did the batsmen show any need to finish the job ahead of time. Rajnikanth opened out and launched into a thunderous assault as did Arvind. The pair added an unbeaten match-winning 72 run partnership for the third wicket in a little over 10 overs to bring GE a comfortable victory with 4 overs to spare. Abhishek acknowledged that his core of 7-8 players playing a key role for his team day in and day out through this tournament that he said was the backbone of his side. And for two tournaments running now, it seems to be the case with one senior player or the other stepping up match after match. Gangadhar, on the other hand, was proud of his boys as well as it was their first serious tournament with this bunch of boys and he hoped that things would get better for them going ahead. 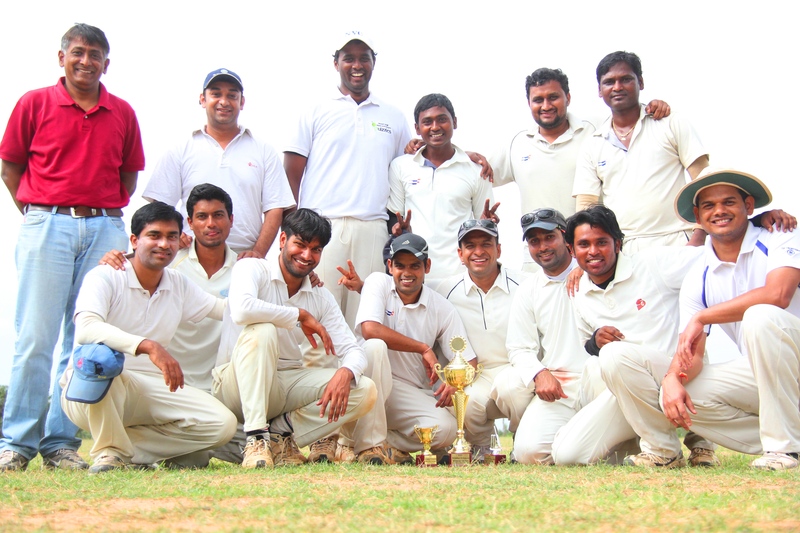 So, after 7 weekends of cricket, GE were crowned The CouchExpert T20 Champions. And deservedly so! Brief scores: NSN 121/7 in 20 overs (Debakant 36 (36 b, 2X4, 1X6), Gangadhar 34 not out (28 b, 3X4), Shimjith 2/15) lost to GE 124/2 in 16 overs (Rajnikanth 52 not out (50 b, 5X4), Arvind 33 not out (24b, 4X4), Manish 2/33) by 8 wickets.